These are easy to use 4 bit wireless module. It is used to transmit 4 Bit of wireless data in one direction. 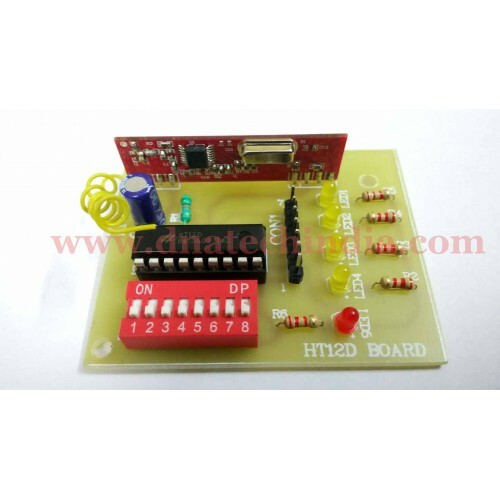 It uses 433Mhz RF Transmitter & 433Mhz RF Receiver Module as well as HT12E Encoder IC & HT12D Decoder IC. 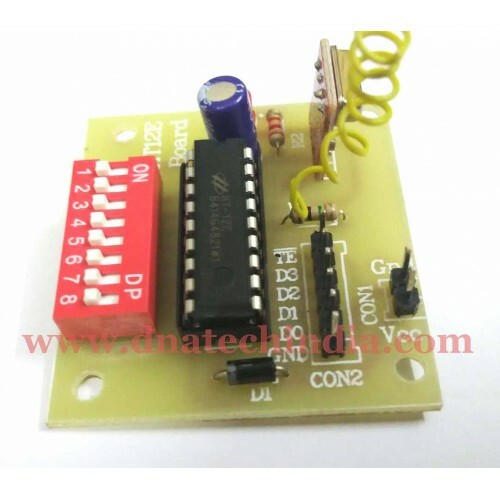 We have also provided 8 pin DIP switch for address selection. Using this DIP switch you can provide unique address to each wireless module pair. The address of the transmitter & the receiver should be the same for data to be received. Both the transmitter & receiver modules work on 5 volt. Both the PCB's have been provided with on board Power LED. The receiver also has four on board LED's to indicate the 4 bit data received thereby simplifying the debugging process. Transmitter PCB has 5 pin input DO-D3 and a Transmit Enable (TE) pin. Unless the transmit enable pin is pulled low data will not be transmitted. 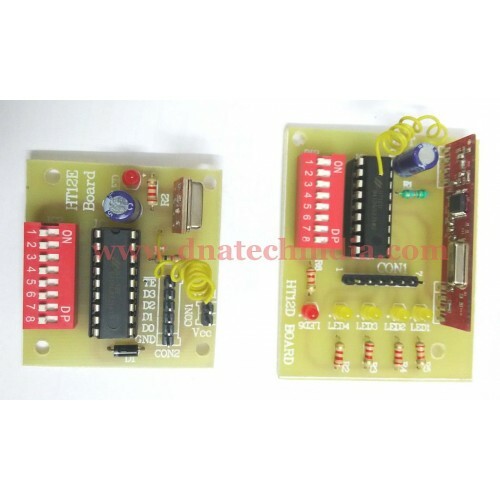 These modules can easily be interfaced to any 8051, PIC, AVR or any other microcontroller. It can also be interfaced to Arduino, Raspberry pi, Intel Edison or even beaglebone. The LED's on the receiver modules Turns ON when low signal is received from the transmitter & is OFF when high signal is received.